Shiny and bouncy hair is something that every girl wants. This is not difficult and you can achieve it if you know how to blow dry and style-gel your hair. However, wouldn’t you like it if you could keep healthy, bouncy and shiny hair naturally? We have managed to come out with home remedies that can give the perfect natural bounce to your hair. Get ready as you are about to get rid of hair problems once and for all. And what’s even better is the fact that you will be doing this without any chemicals. Simply add up vinegar and water in a cup. Make sure that the water is warm. Now after you have fully shampooed your hair, apply this mixture on your hair. You’ll have to rinse of your hair in order to get rid of the vinegar smell. You’ll be going out with bouncy hair in no time! It’s understandable that bottle gourd is not the best thing that you would want to apply to your hair. However, extract a cup of bottle gourd juice and fully strain it. Apply it to your hair and wash it after 30 minutes. Air dry your hair to give them the perfect bounce. Make the perfect mixture at home in order to give your hair the look you always craved for. Simply add one egg with two tablespoons of curd. Apply this mixture to the roots of your hair and wash them after fifteen minutes. Try to treat your hair with this solution at least once a week. You might have heard that certain oil fixes your hair and add bounce to it. The thing is, once your hair is exposed to the outer world, they tend to lose natural oils. Therefore, it is advised that you apply any oil on your hair to keep them moist at all times. 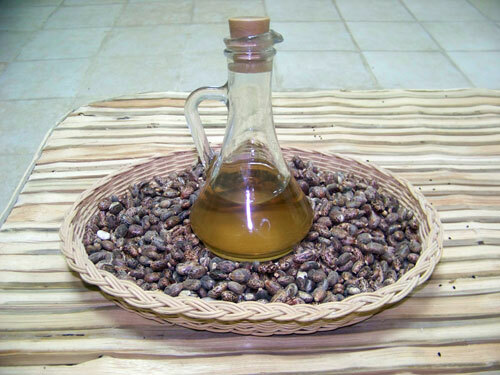 One of the best hair oils which you can use is castor oil. See how it can benefit the health of your hair! Not many people understand the fact that what you eat also reflects on your health; especially your hair. Therefore, always make sure that you are eating healthy. Eat your greens and fresh fruits on a daily basis and you will soon notice the results. Another mixture which you can make in order to fix your hair is probably baking soda and water. Simply add three tablespoons of baking soda with a little water and coat your hair with it. Wash your hair off after 10 minutes and notice the difference. This is a tip which several people don’t follow. Understand the fact that hot water will eventually dry your hair and that is not good for your hair’s volume. Therefore, always try to wash your hair with cold water and that will work wonders for you.